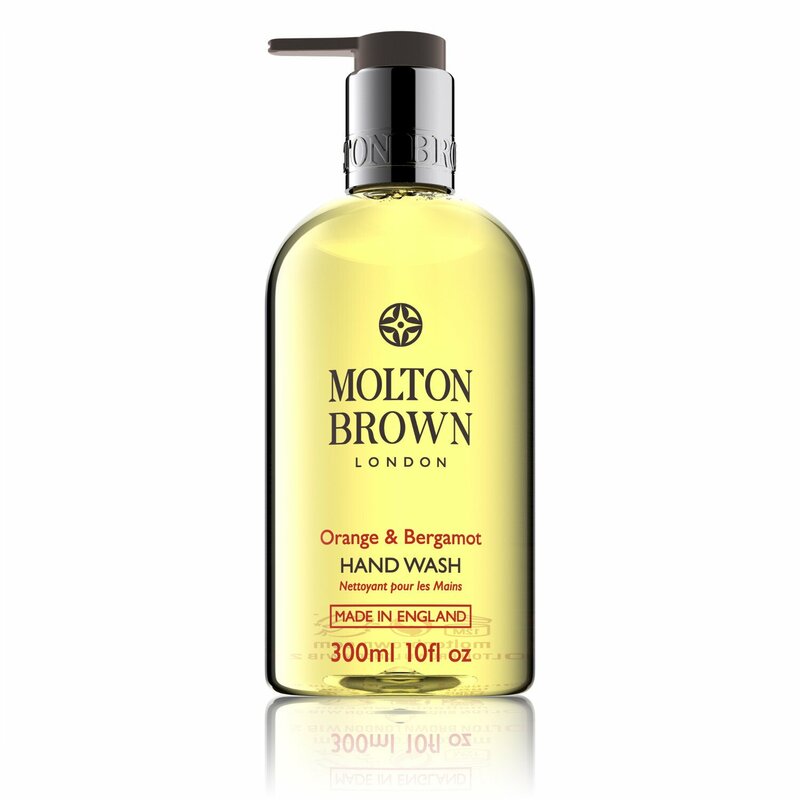 Molton Brown Orange & Bergamot Hand Wash is the scent of London via Seville. A refreshing, moisturizing body wash blended with notes of sweet orange blossom and bergamot. Dappled shade. Fruit hanging from the trees. Scents as sunny as the sky. Lively. Zesty. Unmistakable. The Blend: Top notes: fragrant bergamot, mandarin and lemon. Middle notes: orange and ginger. Base notes: Delicate orange flower and musk. Extract: seville orange. Formerly known as Naran Ji.